The 3-week placement I spent with LoveLove Films went by in a flash, by the time it was my last day, I felt it was still in the first week. The placement has been an extremely fulfilling experience and LoveLove Films have given me a huge insight to what the media industry has to offer. I’d encourage anyone wanting to get into the industry to apply for a placement with LoveLove. Throughout each day, I worked with the team on a variety of projects and felt that the work I was doing was of great importance. I was a bit nervous to begin with however within the first or second day they gave me a “hand holding experience”, so it felt like I had already fit into the team and had my own role to help everyone. They treated me equally and were very open to questions; because of this it made the placement exciting to come back to everyday! During my time at LoveLove, I completed many research tasks that included looking into clients and gathering vital information that would be required in the early pre-production of a project. 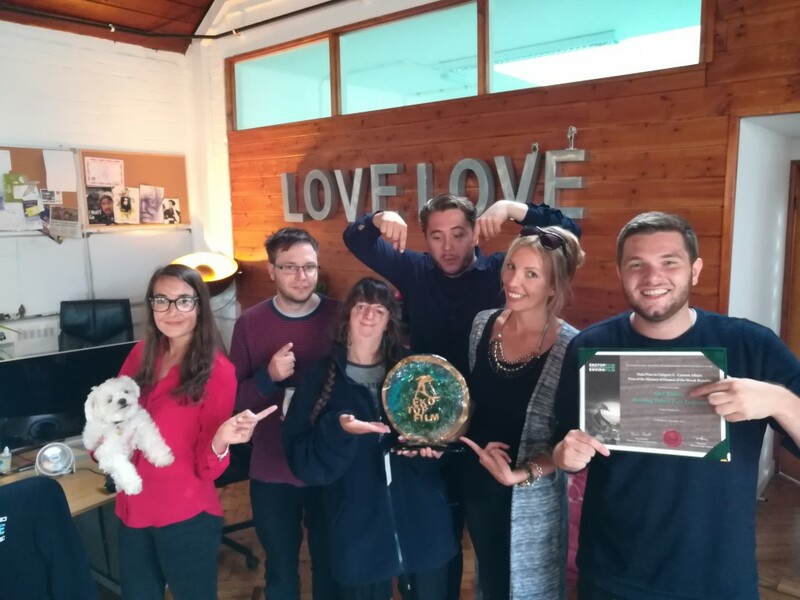 This was vital for helping the LoveLove team to understand the clients’ needs and being able to create something that would not, “shake the tree” but, “plant the seed”. LoveLove Films care greatly about creating something that will last for years and not just a simple one-off video. Therefore, the information that I gathered throughout my research was used to help create initial concepts that LoveLove Films believed would be the most relevant for the client’s needs/interests. Over the 3 weeks, I also had a chance to work with the animation/content creation team and lead animator Sunny talked me through After Effects and how it was being used in a project. The LoveLove Films team asked me to create Mood Boards with the animation team and on a regular basis I had meetings with them to talk about future content development that would radically develop the project. Coincidentally, I was able to work on Sound Editing, which included me adding sound effects and ambiance atmospheres as well as cutting voiceovers down for both 2D animated and parallax video projects. Other tasks I undertook included organizing the camera equipment, which would be incredibly useful for future shoots. Another exciting task I completed with LoveLove Films was helping the animation team build the server; I found this experience incredibly useful, as I’m an enthusiast in this department! On one of the days I got invited to a meeting with a client which was incredibly insightful to see how LoveLove Films showcase their work, my job role in this was the note taker thus I could debrief the meeting so any vital information was not missed or forgotten – I really enjoyed seeing how meetings were conducted. By the end of this placement, I had learned how everyone in LoveLove Films works in their departments, from starting a project to finishing it. This kind of experience is one where you are not sitting on the side lines and waiting for someone to give you a project to work on, instead you are working side by side with the LoveLove team and working together with them to complete projects or building the framework for a new one. One of the most important things that I learnt from LoveLove Films was how everyone works both individually and together effectively. I found an incredible amount of valuable information on how to improve my portfolio. To add to this, I found how to network and how vital it is building connections through social media when promoting your work for future references and jobs. I believe that the absorbing experience that LoveLove Films have provided me with will unquestionably help me with obtaining future employment, not just through the knowledge that I have learned and developed here, but also through the connections that I have made with the team and the ones they have with the professional industry. There have already been plans made for me collaborating with LoveLove in the future potentially as a runner on shoots. It has been an absolute pleasure doing my placement with LoveLove and all of the friendly professionals that make up the team. I look forward to working with them in the future! To find out more about our award-winning New Talent Placement Scheme, click here.